When the Cave Train ride opened in June 1961, a sister ride also debuted—Autorama! The Cave Train’s exploration of the Lost World was not readily visible to Boardwalk guests, but they couldn't miss seeing Autorama’s roadway and its busy loading station. The most substantial improvement project in the Boardwalk's first 50 years created a 2-acre basement and walking surface. The development also enclosed another acre of open land, which formerly suffered the winter ravages of a swollen San Lorenzo River. This space became the domain of the Autorama ride - a considerable commitment of Boardwalk land for one new ride. I surmise that Seaside Company President Laurence Canfield closely monitored the popularity of Disneyland’s Autopia self-driving car ride. Autopia debuted in 1955 and  became  an immediate success. A year later in 1956, rider capacity for the Tomorrowland ride doubled. That same year, overwhelming public demand caused Disney to develop Junior Autopia where visitors now find It’s A Small World ride. A year later in 1957, Disneyland opened Fantasyland Midget Autopia for small-fry drivers, too young to steer or work foot pedals. After the passage of the Federal Highway Act in 1956, the tentacles of the nation’s growing Interstate Highway System aroused the public’s wanderlust for the road. Disney's self-driving cars appealed to the American family’s growing interest in automobiles and the dreams of their future pre-teen drivers. The public had an incessant yearning for these new car rides, now the most popular attractions in the Anaheim theme park. In July 1959, the Seaside Company’s Board of Directors confidently endorsed building a self-propelled car ride like Disneyland’s Autopia. That marked the beginning of our Autorama ride. Arrow Development of Mountain View, CA, the manufacturer of many of Disneyland’s innovative rides, was the go-to developer for Autorama. In 1961, Arrow introduced its self-driving, fiberglass, two-passenger, gas-powered sports car. Unlike Disney’s Autopia, which cruised in cement curbed roadways, Arrow’s center-rail-steering-limiting-design garnered immediate acceptance by amusement park operators. Arrow’s machines did not jump curbs and crumble the cement like Disney’s did, and riders’ fingers did not get trapped between the car and the curb, either. Read HERE about Walt Disney's 1963 visit to the Boardwalk to inspect Autorama’s center guide system, later adapted for his Autopia ride. 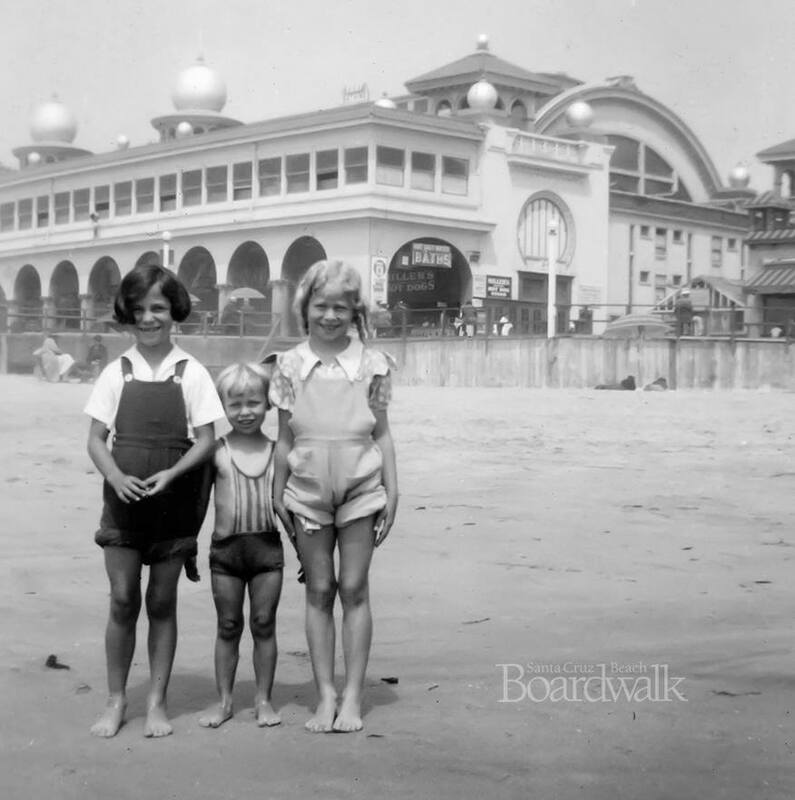 The Boardwalk took delivery of 20 of Arrow’s vehicles in early 1961, each one costing $1,700. A 2,200-ft simulated freeway with a cloverleaf and bridge, like modern freeways were popularizing, took shape over the Boardwalk’s eastern end. Staff added 50 multi-colored mushroom lamps to outline the course for nighttime excursions. Autorama opened to the public in June 1961. Many young drivers claimed their seats ahead of their parent "instructor," eagerly grabbing the steering wheel mounted on the vehicle’s right side. Parents always encouraged and helped their proteges throughout the ride’s course—some  more successfully than others. A driver varied speed via the accelerator pedal. The center-limiting-rail allowed modest freedom in steering. I remember watching cars, chaperoned by indulgent parents who let their first-time junior drivers keep full control, lurching back and forth against each edge of the guide rail. A good driver enjoyed a faster  ride by staying off that rail, but it might take several trips to hone that skill. I never worked on the ride, but former ride operator Tish Denevan, now the Seaside Company’s Community Employment Coordinator did. She remembers that running Autorama was real work! Operators had to  keep cars traveling along the roadway. Occasionally, this required running to untangle frustrated and stalled drivers in a stuck car. Preventing multi-car backups was essential. Sometimes a car  died on the roadway and refused to restart. Evacuation of its passengers and those stranded in the many cars behind it ensued. Operators then pushed or drove the cars back into the station. If this recovery took too long, guests simply left their vehicles and exited the ride space on their own, leaving more cars for operators to hustle back for new riders. Loading and unloading cars also required considerable physical effort. Tish recalls that operators wanted to dispatch vehicles in caravan style, the number of vehicles set to match the number of operators at the station. If that grouping of vehicles traveled the ride's course in tandem, then that same number of cars returned to the station simultaneously. To safely end the ride, each operator had to "catch a car" by hopping onto a side step, grab the external accelerator lever and bring the vehicle to a precise stop. An errant incoming car, coupled with an unobservant operator, occasionally resulted in a bump of the other cars—and not always  a tap! Keeping cars grouped together along the track was easier said than done, as cars—and naturally the drivers - did not always cooperate. As time wore on, wear and tear on the gasoline-powered cars necessitated increased maintenance with more significant expense. Finally, in 1985, 24-years after the launch of the ride,  environmentally-friendly electric vehicles replaced the original cars. Morgan Manufacturing of Scotts Valley, CA delivered 18 electric vehicles patterned after the 1910 Mercer speedster. These machines came with rack-and-pinion steering, aluminum wheels and transported two passengers along the ride’s course,  like the gasoline version. Power came from a 110-volt center rail track that energized a 1.5-hp motor. As before, the center guide controlled the drivers steering range. These new vehicles warranted a new ride name - The Great Auto Race. A few thematic elements at the station gave homage to the theme. Thirteen years later, in 1998, the Seaside Company commenced a significant master plan for the river end of the Boardwalk. The Great Auto Race fell victim to management’s desire to offer a greater choice of ride experiences. Staff dismantled the ride’s turnpike as the Boardwalk re-engineered its river end to provide room for many more rides. My earliest memories of Autorama hearken back to observing it being built. My family’s short order food concession in the Bright Spot building opened a month ahead of Autorama’s unveiling. Management moved  that building from its original location where Dime Toss is now, and re-installed it at its current location opposite where the Autorama station was then. That’s where I began working an actual weekly schedule and when I began paying into social security! From this vantage point and on my breaks, my inquisitive eyes eagerly monitored Autorama’s progression toward opening day. As a 14-year-old boy yearning for a drivers’ license, taking a spin on Autorama was an adventure. The ride appealed to youngsters like me, still not able to legally drive an actual car. I quickly learned to steer and avoid the center rail. When a vehicle stopped on the track ahead of me, I carefully avoided a collision, unless its occupant was a friend of mine. A quick look to the rear prepared me for a possible bump by another friend flaunting a menacing smile. Governors on the engines kept the top speed at a consistently safe and slow level. I heard stories, though, of maintenance staff testing cars without governors on the engines and achieving 25-30-mph speeds. I never got a chance for that thrill! When the Great Auto Race opened, I took one spin around the roadway to test it out. That was enough since by then I had been driving real cars for a quarter-century. What are your memories of Autorama? Did you ride it before you could drive real cars? Did the ride give your son or daughter their first spin behind the wheel?